Tooth whitening is an effective way of lightening the colour of your teeth without damaging the tooth surface. Each person is different; and like our hair and skin colour, each person’s teeth also vary. Very few people have brilliant-white teeth and as we get older, our teeth can discolour. Your teeth can also be stained by tea, coffee, red wine and smoking. Tartar can also affect the colour of your teeth. Some people might have staining under the tooth surface which may have been caused by antibiotics. Your dentist will take an impression to make a specially made tray, just like a mouthguard and space for the whitening gel to sit in. This will take about a week to be made in our laboratory and at your next appointment, your dentist will fit your bleaching tray and explain how to use your whitening gel. The main ingredient in the gel is hydrogen peroxide or carbamide peroxide. As this active ingredient breaks down, oxygen infiltrates the tooth enamel and lightens your teeth. You use your whitening gel in your specially-made tray at home for between one to three weeks, applying for between 1 hour to 4 hours, depending on which whitening gel your dentist recommends. Wearing your trays everyday may result in achieving your desired shade quicker. You can even use them overnight if it is an easier option. Tooth whitening will only work on natural teeth. If you have dentures, crowns, veneers or bridges; the colour of these will not change. The effects of whitening can last up to about 3 years, but will vary from person to person. The effect is less likely to last if you smoke or drink tea, coffee or red wine. Teeth can become sensitive to cold drinks or air during the treatment, or you may experience discomfort in your gums, but these are temporary effects and will disappear within a couple of days of not using the whitening gel. Your dentist will recommend a toothpaste to reduce your sensitivity. A lot of our patients ask about whitening toothpastes, These do not affect the natural colour of your teeth, but may reduce or remove surface staining, making your teeth appear slightly lighter. In saying that, whitening toothpastes may help keep your teeth at a lighter shade after having your teeth professionally whitened. 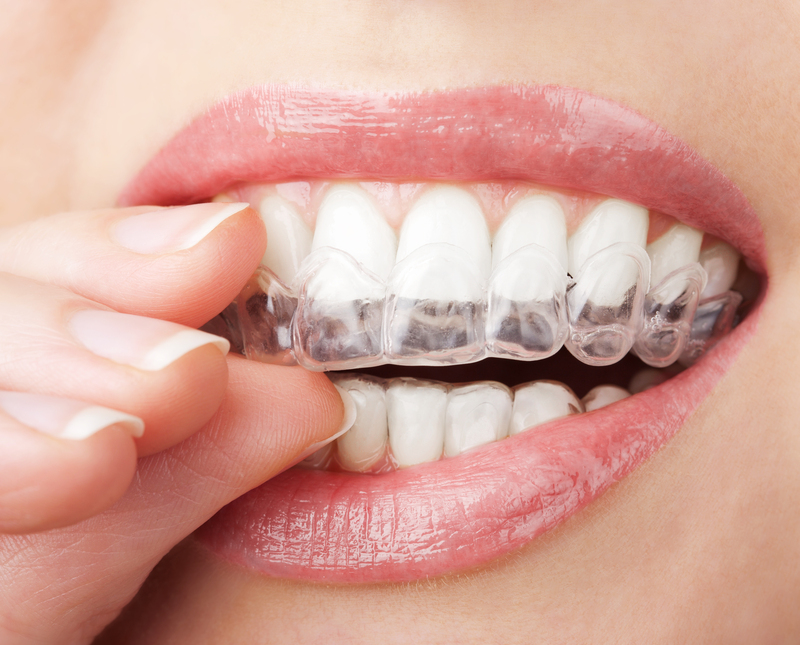 Home whitening kits that are not bought at a dental surgery also may not be effective – there may not be enough of the active ingredient in the gel or may provide poorly fitting trays that can cause damage to the gums. If you have a single tooth that has discoloured after having the nerve removed (root canal treatment), your dentist may be able to place a similar gel inside the tooth to whiten it. Please note that this procedure will be done over a few visits and cannot be carried out at home. Tooth whitening can only be carried out by a dental professional. It is illegal for beauty salons etc. to carry out this procedure unless there is a dental professional present. Why not give us a call and arrange your appointment to brighten your smile today?